Could you tell me about your childhood? Where were you born? Is there anything about your childhood that stands out for you? Helped form who you are today? Your parents, friends, school? I was born in Mississauga, Ontario. My grandparents on my father’s side are from Nova Scotia and are Black-Scotian and Mi’kmaw, so my childhood was filled with a really unique history and identity. I grew up mainly in Black culture, but never knew much about my Mi’kmaw culture. My great, great, great grandfather had travelled on the Underground Railroad to freedom in Nova Scotia back in the 1800s. Before my nana passed, we would research the Underground Railroad and its history, learning the songs they would sing, and she would recommend books for me to read. Believe it or not there’s actually a huge Black-Scotian Mi’kmaw history in Nova Scotia that is often not talked about. There was a lot of shame around Indigenous identity, and so for my grandparents they always knew who they were but did not know their culture. I think this was really hard for my papa, as he was so proud to be Mi’kmaw but didn’t have the cultural understanding to connect to. This really shaped who I am today, as I had so many unanswered questions on our family history and my cultural identity. 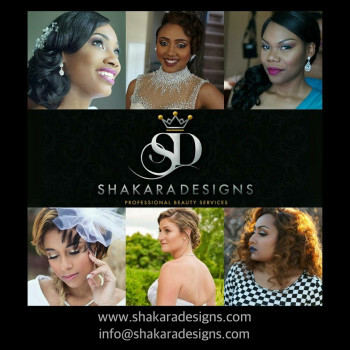 I made it my mission to “find myself” and reconnect to a culture that had been taken from my family decades ago. This mission to “find myself” led me to attend the University of Ottawa where I took introductory courses in Indigenous Studies. It was very foundational and introduced me to a history I hadn’t learnt much about in high school. I did a co-op program at the Odawa Native Friendship Centre here in Ottawa, where I connected with a Mi’kmaw woman from Nova Scotia. The first time we spoke she said “your last name is Christmas? Are you Mi’kmaw from Nova Scotia?”. Christmas is a common Mi’kmaw last name in Nova Scotia. It was an incredibly overwhelming moment for me and was one of the first times I had someone recognize my identity without me having to explain it. Unfortunately, 2 years later I would drop out of university and return home to Mississauga, as I just couldn’t handle the pressures of school. I continued to volunteer and make connections in the Indigenous community, learning more and more about my identity and my family’s history. Which brings me to where I am today. Can you describe your day job as a Youth Advocate, Native Women’s Association of Canada? What challenges have you faced in the work place? I have been at the Native Women’s Association of Canada for the last year. It’s a very interesting job, and I absolutely love it. I ensure that the voices of Indigenous youth are amplified and incorporated into all policy, programs, and other areas we work in. I travel to different provinces and territories and engage in discussion, facilitate workshops or speak at events on a variety of different topics. A big challenge is ensuring that all voices and experiences are represented equally. It’s so important to remember that the “Indigenous experience” doesn’t exist, and that as a Youth Advocate I do not take a “pan Indigenous” approach in my advocacy. This requires a lot of active listening and understanding of the complexities that exist within Canada today for Indigenous youth across the country. 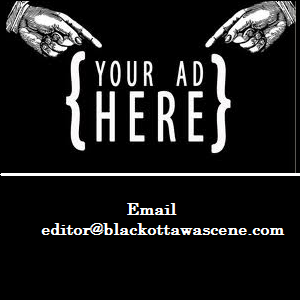 Your grandparents are Black-Scotian and Mi’kmaw from Nova Scotia. How has the fact that you have Black and Indigenous ancestry impacted your life? Do you identify more with one more than the other? It’s given me such a different outlook on life and Canadian history in general. It’s a history that isn’t talked about at all, and there’s little to no research or academia on the topic. I am filled with so much pride and respect for my ancestors, as I know their journey in life would have been very difficult and they endured so much for me to be here today. I don’t think I identify with one more than the other. I feel as if mixed people are often forced into identifying with one side of their culture as the concept of embracing both sides isn’t widely accepted. An Elder once told me that you cannot be half of a culture and that has always resonated with me. And we have to keep in mind that the goal of colonialism for Black and Indigenous folks was for us to not have our cultural teachings and languages. There is power in that connection to your ancestors and I feel it would be so disrespectful to their legacies to favour one more than the other. I know an issue for other Black/Indigenous folks is that their identity is often invalidated by people because of the colour of their skin or other physical features. They either don’t look “Native enough” or “Black enough” and because of this are not accepted into communities. This idea that you need to look a certain way in order to be able to embrace your heritage is rooted in white supremacy. We have to stop allowing western notions of race and culture influence how our communities interact with one another. Ultimately, our traditions, languages, and cultures will survive because we raise children to know who they are. Based on your work and life experience, what challenges do Indigenous youth, particularly girls, face in being a part of Canadian society? When the colonizers first came over they were surprised by how so many Indigenous communities held women in such high regard. For my people, women are to be respected and cherished. The idea of abusing or mistreating a woman did not exist. This is one of the first things they sought to change, as western countries at that time did not value women and believed they were inferior to men and could be treated like property. These elements of misogyny still exist today, both within Indigenous communities and Canadian society. Indigenous women and girls are more likely to experience violence or go missing/be murdered in Canada than non-Indigenous women. This coupled with the historic trauma our women have experienced makes it extremely difficult to find a place you feel safe in. Indigenous communities are fighting this and bringing back traditional teachings on respecting and honouring women and girls. We are speaking out against the violence and abuse and creating programs, services, and resources for our women to access. There is also the lack of equitable education, employment, mental and sexual health resources for Indigenous communities. 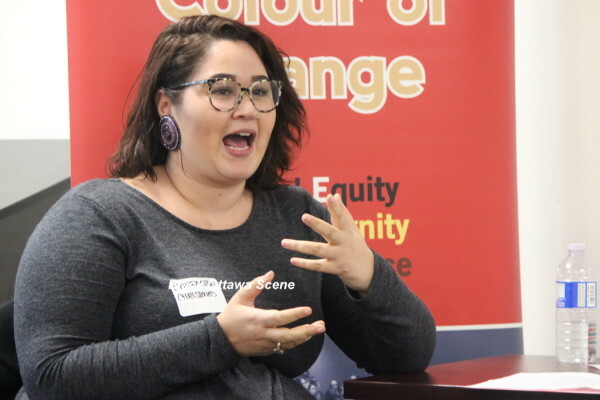 It is all multi-layered and complex, and it’s also really important to acknowledge that there are a lot of Indigenous people who do not identify as being Canadian. How can you be Canadian if your Nations existed before the creation of Canada? We have to find how we can walk within both worlds without having to compromise our cultural identity. Do you see any similarities between challenges facing indigenous youth and youth of colour? How can these challenges be addressed? Oh yes, there are tons of similarities between Indigenous youth and youth of colour. Intergenerational trauma is very real, and still impacts our young people today. The multiple barriers and inequalities our youth are experiencing is a direct result of historical trauma and the systemic racism perpetuated by the Canadian government. In order for there to be change, difficult conversations need to take place and the government needs to take accountability for their actions. And I don’t just mean historical injustices, but also present ones. Black and Indigenous youth are far more likely to be unemployed, incarcerated, or face poverty. And our communities know this and have known this for decades. Yet the government continuously asks us what is the problem? How do we address it? The answer is to give power back to the communities and allow them to have agency over their lives. Stop incarcerating our youth. Stop the violence and mistreatment. End systemic racism once and for all. We must listen to communities while prioritizing the voices of our youth as they know what’s best. They have all the solutions, we just have to stop and listen to them. The Truth and Reconciliation Commission revealed some troubling facts about injustices inflicted on Canada’s Indigenous people for many generations. What do you feel should be done to repair this damage and restore trust between our Indigenous peoples and current and future governments? I think autonomy needs to be given back to the communities, the Indian Act needs to be abolished, and this paternalistic role that the Canadian government assumes over Indigenous people’s needs to end. Before this happens there will never really be an equal relationship between Indigenous peoples and the Canadian government. There also needs to be a better educational system within Canada that details the true history of this country and does not “sweeten” it to make it more appetizing. I have seen textbooks that state First Nations gave away their land out of kindness to the settlers and that their relationship was peaceful. Which is completely untrue, and very scary that information like this is being promoted within our schools. I think Canada does a very good job of talking about restoring the relationship and ending inequalities but doesn’t take the necessary actions to actually effect this change. Until tangible actions are taken, and power is restored to Indigenous communities, the relationship will never be rebuilt. What has been your biggest achievement and what was your biggest challenge? 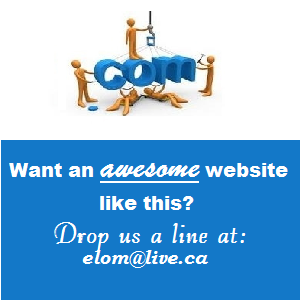 In your work, family life, volunteer work? Honestly, I can say that one of my biggest achievements was getting my life together after I dropped out of university. It’s a huge challenge figuring out who you want to be and what you want to do with your life. We put so much pressure on youth from a young age to attend post-secondary and don’t really offer alternatives. It’s either go to university/college or be unsuccessful. I was left pretty unsure of where I wanted to go in life and what career I would get into. Luckily, I had lots of support and encouragement from my family, friends, and community members to chase my dreams. Now I work for a national organization I love and get to channel all my passionate into it. Do you have any hobbies or pastimes? Hmmm. I am a big gamer! My dad got me into it when I was a child and I’ve been a gamer ever since. I also travel in my personal time and I am planning a solo trip to Ireland in April! I am a traditional singer and love to go to karaoke. This kind of felt as if I was filling out a dating profile, haha! If you had to live your life all over again, is there anything you would do differently? No there’s nothing I would do differently. All the pain and negative experiences I had were necessary for me to be where I am. They shaped me and allowed me to grow in ways I could have never imagined. I’m so thankful for the people I’ve met along my journey. 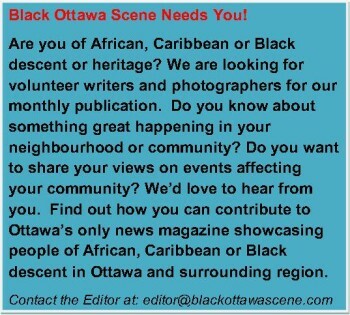 Finally, do you have a message for readers of Black Ottawa Scene? Please, please, please, listen to our young people. And I mean really listen to the answers and solutions they are providing. If you ask a question, be prepared to sometimes not like their answers or have disagreements. We can come together to create solutions that can have a positive impact on generations to come. Also, if you ever have questions on your identity, or want more information, I encourage you to chase them and find out as much as you can. There is healing in discovering your roots and making connections to communities you never knew you were a part of. No matter how old you are, it’s never too late to get reconnected with your ancestors.